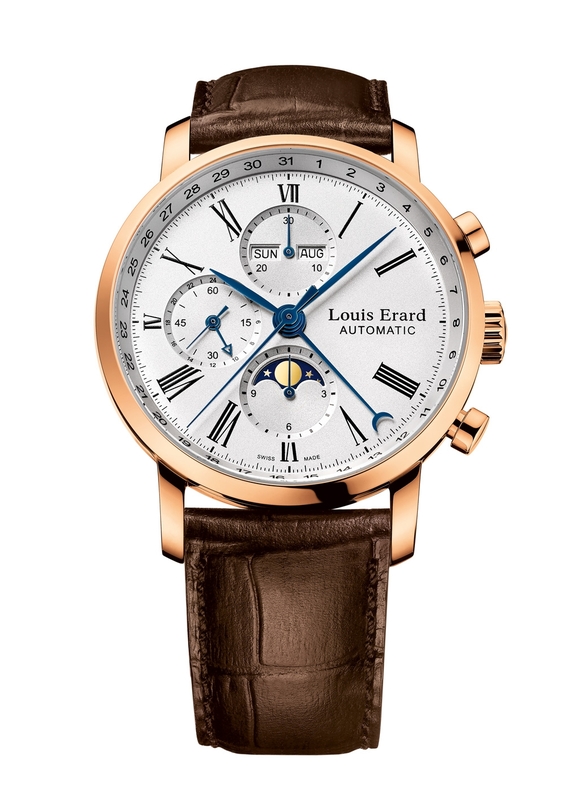 The Excellence collection from Louis Erard was introduced on the 80th anniversary of the company in 2011. To ensure this new collection remained faithful to the brand’s values, Louis Erard followed this proven recipe: strive to design timeless classics, stay committed to the traditions of haute horology and offer the brand’s watches at affordable prices – in all, a rare triad among Swiss mechanical watchmakers. One jewel in the Excellence collection is Reference 80 231 OR01, a chronograph with a triple calendar, GMT and moon phase housed in a rose gold case. At the heart of the watch is a Swiss made ETA Valjoux 7751 automatic movement beating at 28,800 vibrations per hour, with 25 jewels, an Etachron regulator and a stop-second mechanism. The assembly of the 7751 supports an orderly design by overlapping the complications on the sub-dials. The chronograph is comprised of a central seconds hand, a 30-minute totalizer at 12 o’clock and 12-hour totalizer at 6 o’clock. The sub-dial at 9 o’clock is home to the constant seconds register and the GMT function, which features a hand with an arrowhead pointing to a corresponding 24-hour scale. On the dial, thin Roman numerals, some of which are pruned by the sub-dials, allow the dial to remain bright and open. The Romans also create an air of antiquity, as do the blued hands. Recessed sub-dials also contribute to the well-ordered design. 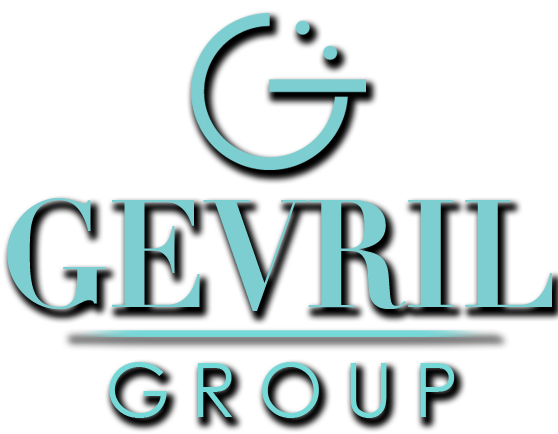 The dial is a silvered white and covered by a large sapphire crystal with anti-reflective coating on both sides. The exquisite polished case is made of a full 70 g of 18k rose gold and measures 42 mm in diameter; its design is marked by simplicity, as any fine dress watch should be. The lugs, too, have no extraneous parts and jut purposefully from the case to accommodate the genuine crocodile leather strap, which has an 18k rose gold pin buckle. The caseback, also in rose gold, is secured by four screws and decorated with the emblem “LE” embossed in a script font along with the commemorative year “1931″. Like others in the Excellence collection, this watch has both classic and modern attributes. Its appearance, its inner workings and its case are characteristic of watches found in the upper echelon of Swiss made timepieces, but it remains available at a relatively modest price. Louis Erard is firmly committed to this principle of mixing classic design with haute horology and affordability. Contact an authorized dealer today for further details about this extraordinary gold timepiece. Analog watches tell time by way of hands that move in a circular motion. 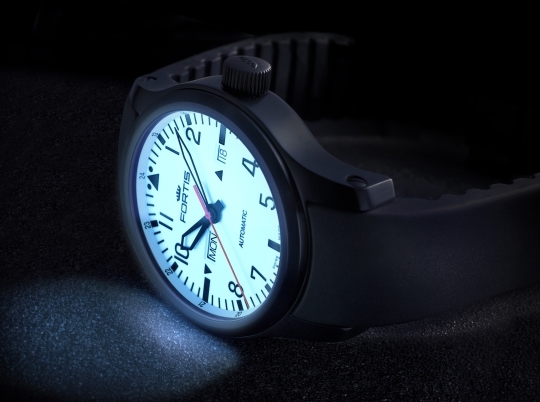 A “jump hour” complication replaces the traditional hour hand with a window through which the numerical hour is displayed. When the hour advances, the window (or the disc below it) makes an instant jump to the current hour. Jump hour watches are not only appealing from a horological point of view; they are also functional, because reading the time using this configuration is unambiguous. In the hands of skilled watchmakers, the jump hour complication also presents opportunities to conceive of new and interesting arrangements such as the Fortis B-47 Mysterious Planets timepiece, introduced last year. 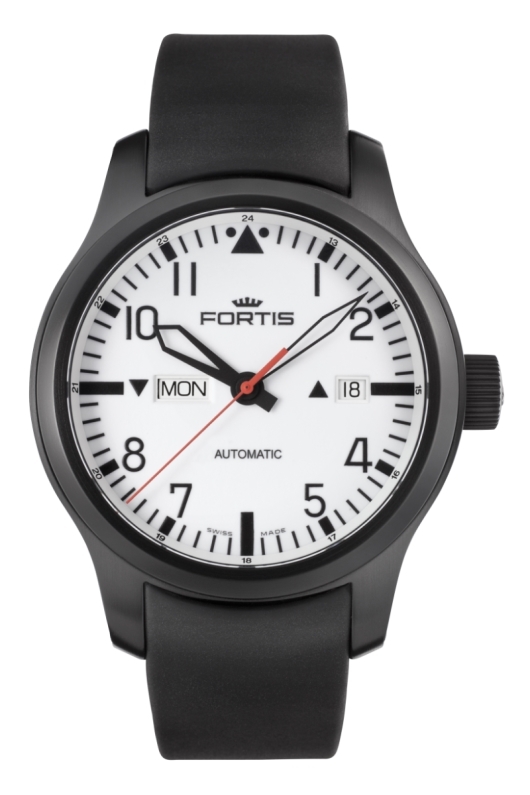 This year, at Baselworld 2013, Fortis introduced its latest jump hour model – the F-43 Jumping Hour – a watch that highlights the complication with artful simplicity. Like the B-47 before it, the F-43 Jumping Hours houses the Fortis F-2024 automatic movement, comprised of a highly modified ETA base with the jump hour mechanism added entirely by Fortis. 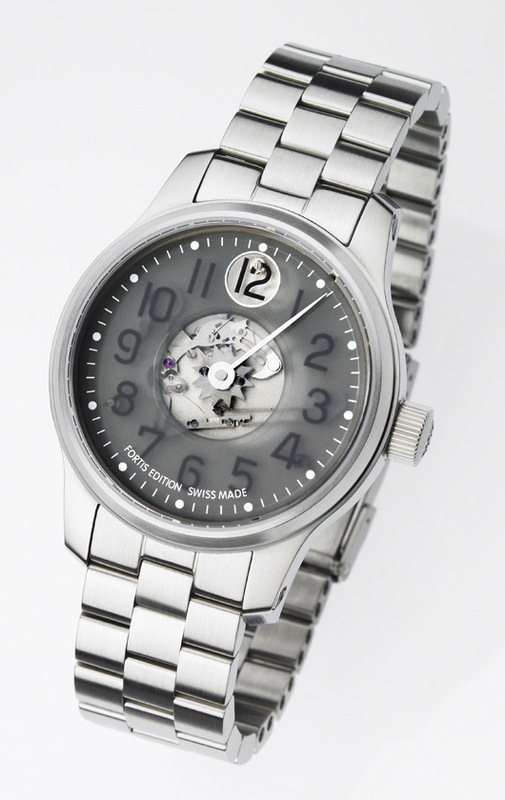 A small portion of these components are visible through the dial; a wider view of the movement is visible through the glass caseback. The F-2024 employs 21 jewels and an Incabloc shock absorber. It beats at 28,800 vibrations per hour. But the dial is where the spectacle of the jump hour complication plays out. A matte-textured, smoky-gray disc covers a better part of the dial. Through its translucent surface, Arabic hour numerals appear on the dial plate below. The current hour is displayed through the circular aperture on the disc. When the hour changes the gray disc rotates clockwise, while the centrally mounted minute hand continues its customary rotation around the dial. Design details include chrome hour markers as well as a thin chrome frame around the aperture. The watch’s two-part case is 43 mm in diameter and made of brushed stainless steel. Sapphire crystal with anti-reflective coating applied to both sides protects the dial side of the watch; the caseback screws down adding to the watch’s water resistance to a depth of 656 feet. The large crown is characteristic of many Fortis Space and Aviation models and features the Fortis logo. Each watch in this 500 piece limited edition is individually numbered on the caseback. The neutral tones of the F-43 Jumping Hour are well suited to either a bracelet or strap, but the matching brushed-steel bracelet shown here is the most robust choice with its thick triple-link construction and folding clasp. 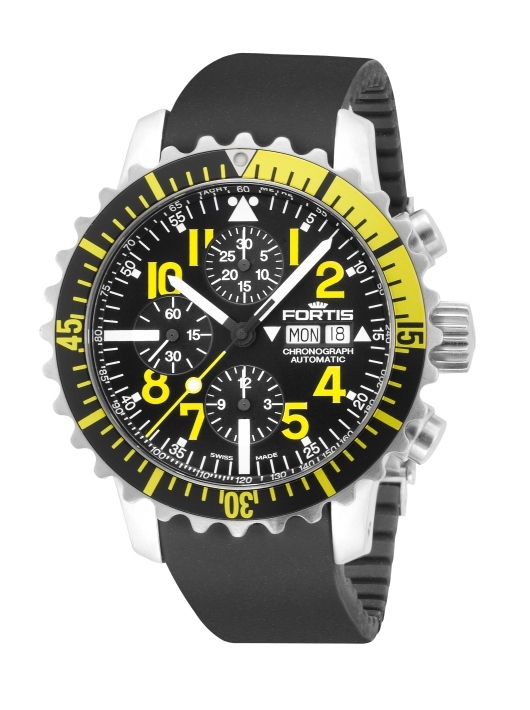 To wear the Fortis F-43 Jumping Hour is to find renewed enthusiasm for a novel watch complication. It’s a highly functional departure from the everyday way of reading time, and it will spark curiosity as much as it delights. Act now, before all 500 pieces are gone.